We are pleased to announce the version 4.6.1 Build 3 is here now. In this minor release, on top of some bug fixes, we also focused on adding essential features to help phpFox site with GDPR Compliance which will be officially applied from May 25th, 2018. [Bug Fix] Relationship Status does not show on the User profile. And some other minor issues are also fixed in this release. Please refer to this article for details. To support the ability to export user data, the Material template and Single Device Login app also require being updated along with Core version 4.6.1b3. 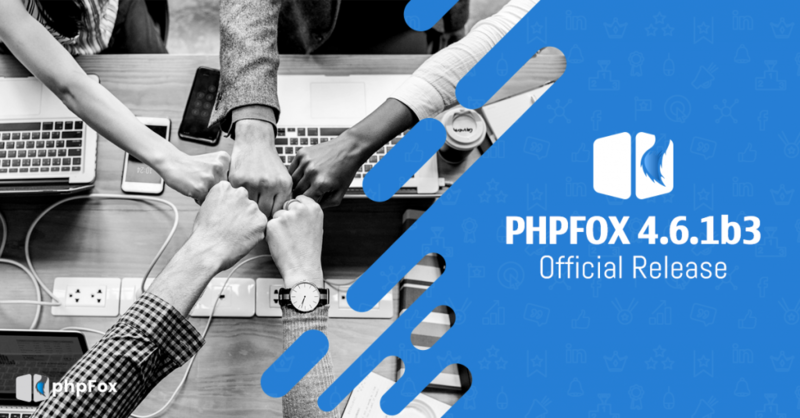 The new versions of these products are now available on phpFox Store. If you are using the Material template and Single Device Login app, please don’t forget to upgrade them to their latest version as well right after upgrading the phpFox Core. If you found any bugs with this release, please report in our GitHub tracker. You can also submit a ticket in your client area to receive support from our team.